I recently purchased the power tools club from tour tempo Europe. This is a great product. I find that 10 minutes a day swinging this club has added more distance approx. 20 yards on my drives and also increased my accuracy no more looking for balls in the rough. I was also delighted with the service from tour tempo, I was able to track my parcel to ensure I was at home for its delivery. I recently asked for a quote for extra rubber bands for the power tools club. I was delighted when I received 2 bands in the post a few days later free gratis. I would no hesitation in dealing with tour tempo Europe again. “I worked at IMG for 30 years, managing some of the best golfers in the world. During that time I played numerous rounds of golf with Curtis Strange, Mark O’meara, Greg Norman, Tiger Woods, et.al..each of whom tried to help me play better golf. I also had the opportunity in my job to take lessons from the top teachers in the country. Despite all this — or perhaps because of it–my golf game deteriorated over the years from a strong 4 to a current 11. As a result of being a John Garrity/si.com fan, I bought your book yesterday and read it last night. Today at my golf club in Cleveland, I hit some of the most amazing golf shots in years – just like the testimonials in your book, the ball is going farther, straighter, and with a little draw. As I said above, WOW! And the most amazing thing is, THERE IS NOT ONE THOUGHT OF SWING MECHANICS..for someone whose brain has been completely overloaded with swing correction “bandaids” for 25 years, you can’t properly appreciate my joy! Sure, I made some (typical) over-the-top swings and didn’t hit them all perfect, especially the driver…but it’s only my FIRST DAY – wait until I trust your tone sounds in my head! Speaking of which, I want to buy your music CD, but I’m not sure which speed (21/7, 24/8, 27/9) to choose…how does one know? You probably get a million of these e-mails, but THANK YOU again for liberating my swing and, equally important, my psyche from golf purgatory! “ My problem, like many golfers, was that I came ‘over the top’ and had a poor impact position (flipping at the ball). By putting the target on a slight in to out path and turning the Velcro so it is facing up, I’ve been able to correct both swings faults plus restored my lost distance without thinking about it – and that’s what makes the SpeedBall® such a great training aide. Testimonial by John Novosel Sr. Author of the International best selling golf instructional, Tour Tempo®. An inventor, Novosel holds various patents on golf swing training aids including the highly acclaimed SpeedBall®. He also holds a PGA Tour Instructor’s badge. Golf’s leading authority on Tempo, he is the first instructor to discover and define exactly what Tempo in the Golf Swing is and the first to know exactly how to teach it. The whole world of Golf has left one of the most important elements of the swing to chance – Tempo. It is one of the most admired aspects of the swing, yet up to now, no one knew exactly what it was, or how to teach it effectively. You know it when you see it. The swings of the Tour players who have it look effortless, yet they obtain results that are incredibly powerful and consistent. The question you have probably asked yourself – how can they look like they are swinging that easy and get the results that they do? We are going to answer that question for you. When you use the training method of Tour Tempo® you will have an exact understanding of Tempo in the Golf Swing. How it is blended into the mechanics of the golf swing will be defined exactly. You will learn exactly how to incorporate it into your swing with a minimum of time and effort. We are not going to get into a semantics battle about how to define the words Tempo or Timing or Rhythm. That is not necessary, because there is only one definition for Tempo in the Golf Swing; and one of the most amazing facts about our whole program is what we have discovered – that the Golf Swing has its own tempo. You can forget all the misinformation that has been distributed by Conventional Golf Teaching. They have claimed that each person has his or her own tempo. They have claimed, without scientific basis, that certain players have fast tempos and others have slow tempos. Some of the world’s greatest discoveries have been accidental. Our discovery of the Tempo of the Tour Pros was just that, and, you will find out more about it in the book. This chance discovery has led to what we now call the Tour Tempo System. This chance discovery is now going to lead you to the best golf of your life. This information applies to every club in your bag, woods and irons alike. Now that it is possible to time your shots correctly, no longer will you suffer those frustrating periods of inconsistency with your golf swing. You will now be able to approach each shot with confidence and come out with consistently lower scores. You might be asking yourself – What is different about the Tour Tempo® Method? It is also the first to scientifically balance the learning of the dual elements of Mechanics and Tempo in the golf swing. The really interesting thing is that we have accomplished something that the best minds in golf previously thought impossible to do – immediately and dramatically increasing a golfer’s distance while at the same time improving his accuracy. We are now proud to say that Tour Tempo® and our Power Tools® systems are currently being used by the World′s Best Players on the PGA Tour, European Tour and the LPGA Tour. These Top Tour Pros are not the only golfers to have benefited from using our products. In addition, amateurs golfers worldwide, from beginners through scratch handicappers have seen immediate gains in consistency, distance, and lowered scores by synchronizing their swings to the swings of the Tour Pros with Tour Tempo®. It is our mission to help golfers of all abilities to increase their enjoyment of the game by using our Tour Tempo® products to achieve the correct Tempo of the golf swing. I am also now pleased to inform you that Tour Tempo Europe has become a recognised distributor, so you can be assured of first hand professional advice and service. 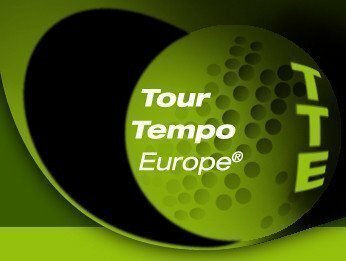 I thoroughly endorse and support TTE′s efforts in making Tour Tempo® available to the Euro zone golfing community.